Autonomous vehicles are the machines capable of steering by itself, a concept that we are still trying to converge on the line of safety of passengers. Now what if an external machine comes and steer away a vehicle that is designed for humans? 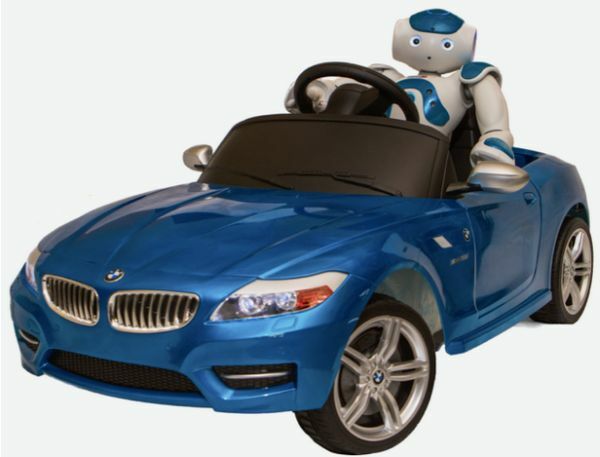 Robots LAB, San Francisco based distributor of educational robots, have led to the creation of this imagination, they have come forward with a tiny tot humanoid Nao along with a BMW Z4 Electric sports car. Nao is capable of steering the car independently. The vehicle is equipped with a laser rangefinder at the bottom, which assists in avoiding huddles and at the same time, conveys steering commands to the driving bot. Main idea behind this platform is to do an in-depth research for techniques like Simultaneous localization and mapping (SLAM), obstacle detection and dodging based on vision. 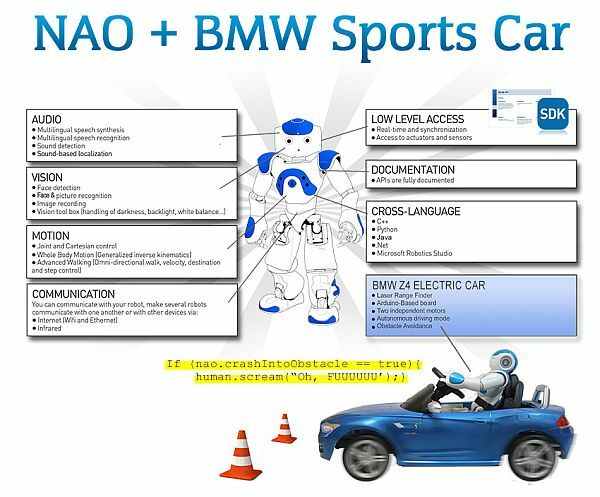 NAO comes along with its SDK called the Choregraphe supporting C++, Java, Python, C# .Net and Matlab. NAO apps can be integrated with any IDE (Integrated Development Interface) including Eclipse, Visual Studio or Vim, which makes it very easy to work with. As far as specs are concerned there are very less info provided. However, the price for both NAO and car is quoted around US$9,990.